With that being said, I did lighten this recipe a little bit by cutting back to 1/4 cup of butter (most million dollar spaghetti recipes call for 1/2 cup) and skipping the meat. I chose to leave everything else as is because I wanted to follow the original recipe as closely as possible. I have included a ground beef option in the recipe even though I made my version without it, which works for vegetarians or for anyone that likes to have meatless meals once or twice a week such as “meatless Monday”. You can use homemade pasta sauce in this recipe or save time by using jarred. 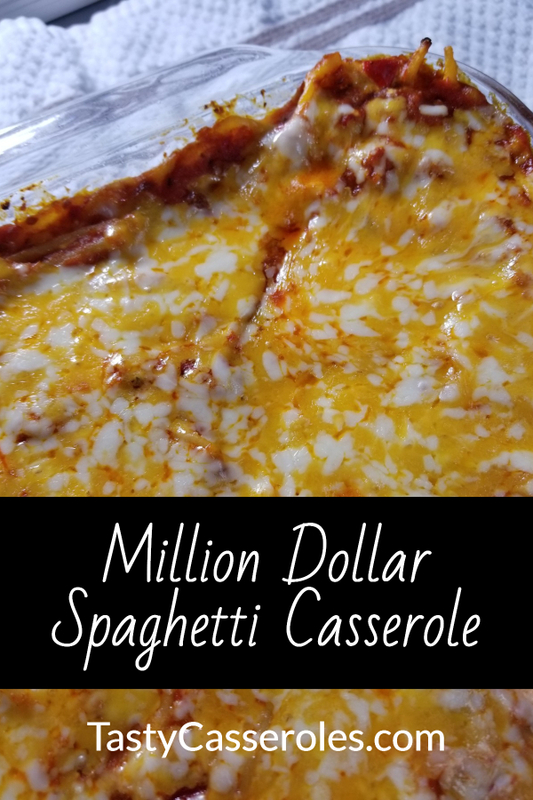 This spaghetti dish is goes together quickly for a delicious one dish meal. Preheat oven to 375 degrees. spray a 13"x9" baking dish (3 quart) with cooking spray and set aside. Cook spaghetti according to package directions until just al dente (you want it a little firm since it will finish cooking in the oven). Drain, return to pan and stir in butter. If making without ground beef skip the next step. While spaghetti is cooking, crumble and brown ground beef until no longer pink. Drain grease and stir in spaghetti sauce. In a large bowl combine cream cheese, 1 cup of the mozzarella cheese, 1 cup of the cheddar cheese, Parmesan cheese and the spices. Set remaining mozzarella and cheddar cheese aside. Pour the cheese mixture into spaghetti and stir to combine. Place half of the spaghetti mixture into baking dish. Spread with half the pasta sauce and sprinkle with half of the remaining mozzarella cheese and half the remaining cheddar cheese. Repeat with the rest of the spaghetti mixture and remaining spaghetti sauce. Cover baking dish with foil and bake 30 minutes. Remove foil, top with remaining mozzarella and cheddar cheese. Continue to bake, uncovered, until cheese is melted and spaghetti is heated through, about 5-10 minutes. If using jarred pasta sauce you will need 2 -24 ounce jars (you will about a cup left over). 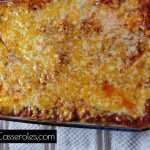 I used the leftover sauce the next day for reheating individual slices of the casserole. Just pour a little of the sauce over each slice and microwave until heated through. Top with a grated Parmesan and enjoy! Adding additional seasonings is optional. I don't add any other seasoning since cheese tends to be salty and the store brand of pasta sauce that I use has a lot of flavor. Feel free to experiment with different cheeses. For a taste more similar to lasagna you can double the mozzarella and omit the cheddar. 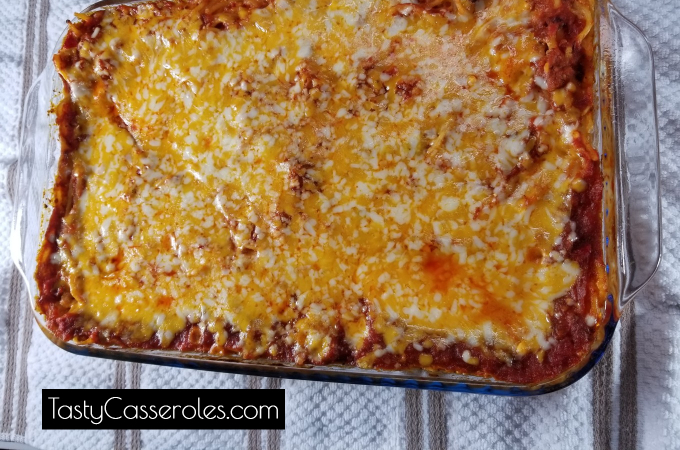 This quick and easy spaghetti casserole will go perfect with a tossed salad and garlic bread. Just a quick note on cheese. I prefer to shred my own, and one of my favorite tools to use is my food processor. A food processor is much faster (and safer) than using a box grater. And not only is it more cost effective to great your own cheese, it also tastes better. 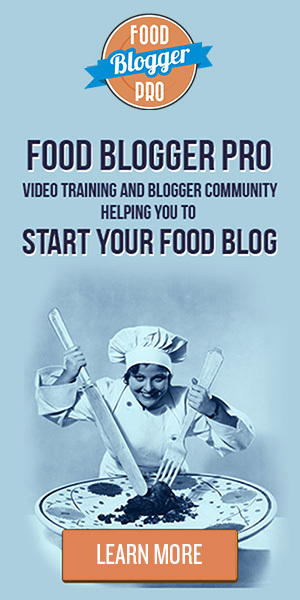 Here is a review that I wrote a few months ago about my food processor.